Deanna Gorder (Dic. 917) struggles to pay attention durin class and on her assignments and rather sits on her cellphone, falling right into the trap of senioritis. What can be seen in every senior class- seniors slacking off. The class of 2019 is fresh into the new school year, and already is coming face to face with a problem that most seniors encounter – senioritis. Most seniors this time of year have their mind set on one thing: college. Senioritis, by definition, is a supposed affliction of students in their final year of high school or college, characterized by a decline in motivation or performance. No matter how highly motivated you are as a senior, you are bound to encounter some type of senioritis. Symptoms of senioritis include, procrastination, lack of motivation in school work, and inability to perform routine tasks. Katie Morris (Div. 935), has not yet applied for colleges thanks to senioritis. She is interested in schools such as Michigan State University, University of Kansas, Western Illinois, and several schools in Kentucky.“Senioritis is a serious thing that I never understood. I really thought I had it my junior year, but that was nothing compared to how I feel senior year. I decided to choose AP classes for my last year, thinking I could end high school strong, but it’s just all pilling up on top of college applications and essays that I have not gotten around too yet,” said Morris. Deanna Gorder (Div. 917) believes that senioritis is taking a toll on her school performance. Gorder has already been accepted into colleges such as Western Illinois University, Illinois State University, University of Illinois – Urbana Champaign, and several others. “This school year is very important with applying for colleges, but I have just become too lazy and too tired to even attempt to do my work. Last quarter, I stayed up all night before Student Portal closed to finish all the work I hadn’t done,” said Gorder. She believes that senioritis hit her towards the end of junior year, after SAT testing was over. Elian Martinez (Div. 937) who was accepted into Western Michigan University, agrees with Gorder and Morris that senioritis is indeed hitting him hard. “I try to pay attention in class, but I just can’t focus on anything or on my work. I get things done, but I procrastinate way too much now,” said Martinez. However, some students disagree with the traditions of most and defy the odds of encountering or having senioritis. Ryan O’Shea (Div. 914 ) who wants to attend DePaul University believes that he is not affected in any way by senioritis. “I don’t believe I have it because I am doing well in all my classes, I maintain my grades, and I don’t procrastinate on my assignments.” O’Shea stays on track with his classes in order to beat the odds of having senioritis. Adriana Klemensiewicz (Div. 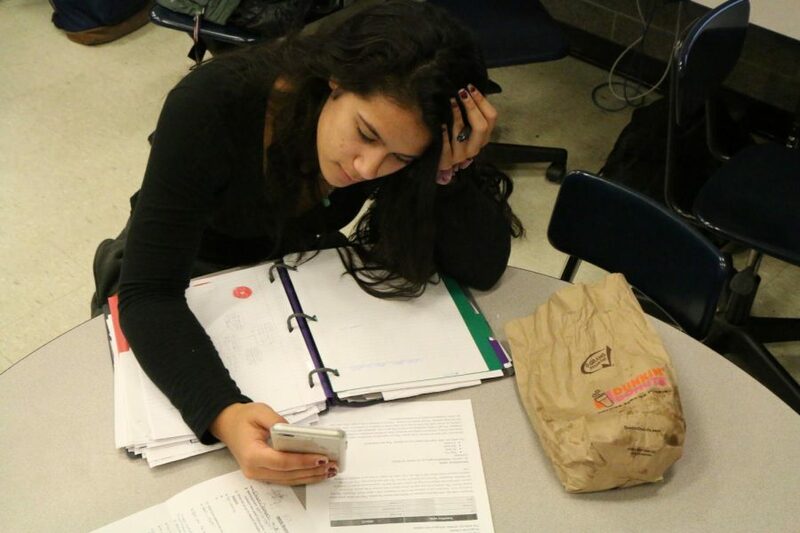 916) is an IB student that has been accepted into several colleges and like O’Shea, also believes she is not affected by the senioritis like most students.“I make sure that I finish all my work on time so I don’t feel overwhelmed by the amount of work IB gives me,” said Klemensiewicz when asked about her success. Although most students are impacted in one way or another by senioritis, some students defy the odds and are able to stay on task with their school work. Are you one of them?